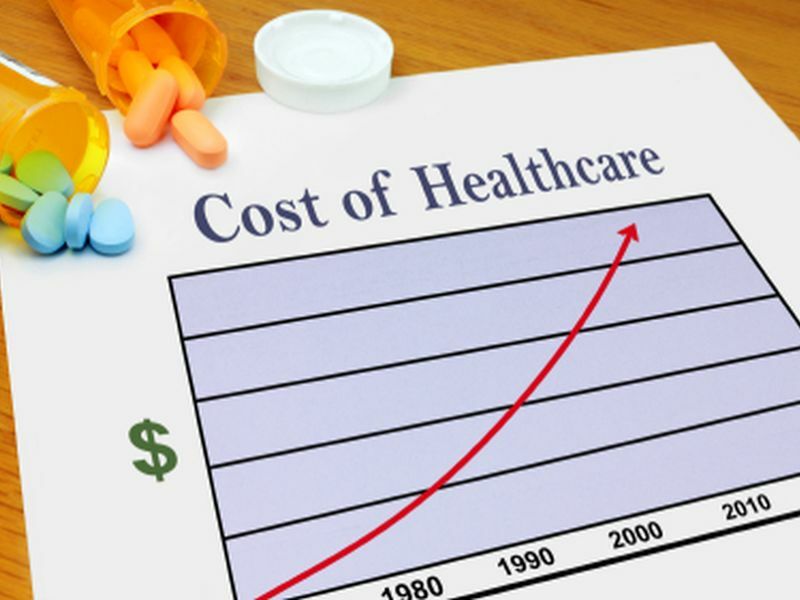 TUESDAY, Nov. 7, 2017 (HealthDay News) -- Rising prices, along with increased variety and complexity of services, are major reasons why health care spending in the United States has increased by nearly $1 trillion in the past 20 years, a new study finds. "Part of the reason we spend more on health care each year is the nation's growing and aging population," said study author Joseph Dieleman. He's an assistant professor at the University of Washington's Institute for Health Metrics and Evaluation. "When we added up all the health conditions, increasing population size led to a 23 percent increase in health care spending," Dieleman said in a university news release. Health care spending on outpatient care rose 85 percent between 1996 and 2013, largely due to increasing use of services, the study found. Spending on inpatient care grew 59 percent because of increases in price and service intensity. "This research confirms several trends that we've long suspected," Jay Want, executive director of the Peterson Center on Healthcare, which funded the study. "Increased health care spending is driven more by how care is priced and delivered to patients than by the population's size or age.